When we have children, they become everything – they become our world. As parents, it’s our job to give our children all that they could possibly need, and that includes a healthy start in life. One of the most important organs to care for when it comes to babies is their skin, which, although perhaps surprising at first, makes a lot of sense when you realize that it is 30 percent more delicate than an adult’s. That means it is much more sensitive and much more prone to irritations. Remember that our skin is the largest organ in our body (or rather, on our body). Everything we put onto it is absorbed into it, and so it needs to be treated with the utmost care – whatever you put onto your baby’s skin needs to be thoroughly scrutinized. When a baby is born, its immune system is defenseless; that means it takes time to start working properly. Because of this, many parents (rightly so) feel that organic products are the best option. But there are so many natural skincare products for babies out there; which make organic claims, that it’s hard to determine which one is the best. After all, each one claims something different, yet hardly any of them actually go into what organic really is. That can be something of a problem for parents who are keen to give their child only honest, organic skincare. Organic skincare makes a lot of sense, and I truly believe it is the best way to care for a baby. 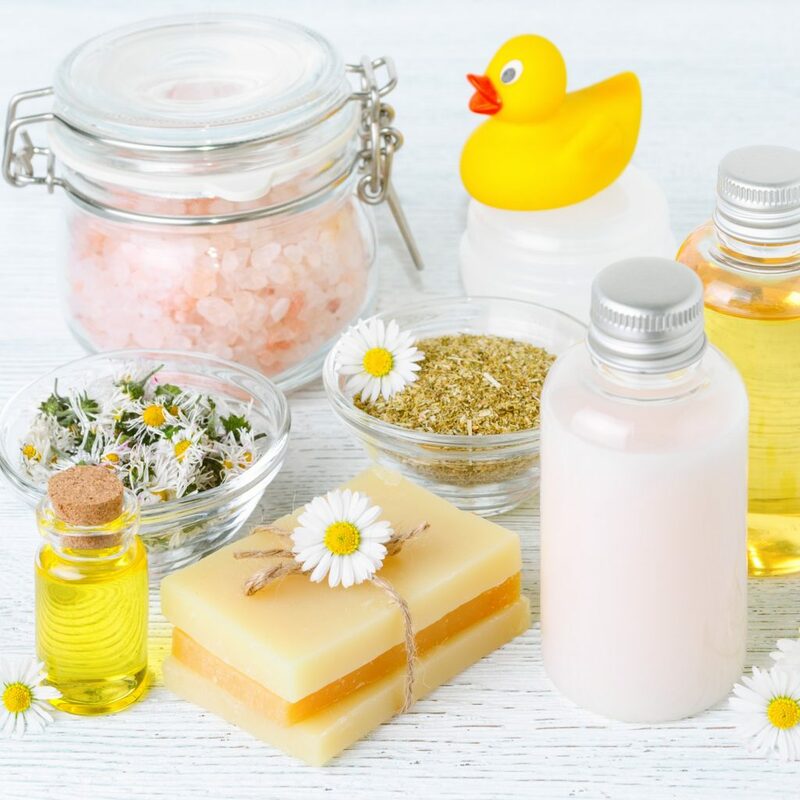 Unfortunately, the planet is still constantly being polluted – heavily – with chemicals, and manufacturers seem mostly unconcerned with how much these chemicals can affect our children, and specifically their delicate skin. A baby is much more sensitive to these chemicals then an adult would be – their skin is thin, and their brand new respiratory, endocrine, and digestive systems are absorbing everything through it. That’s why I’m encouraging you to think carefully about what you’re putting on your baby’s skin. It can make all the difference. 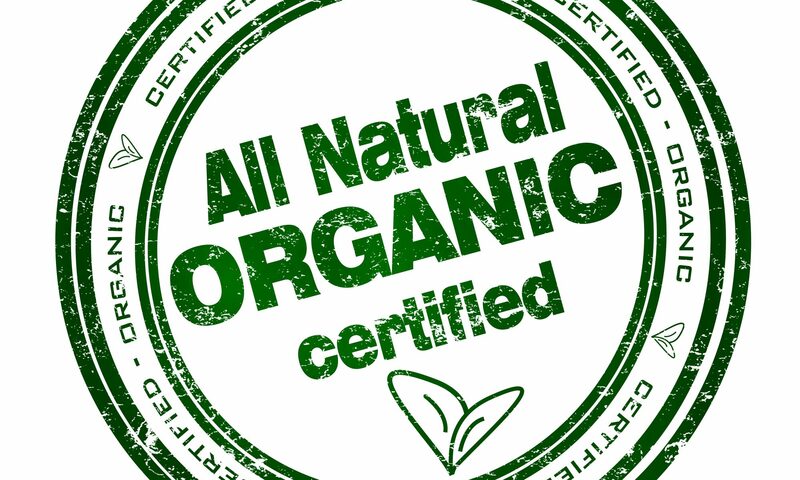 So what exactly is ‘organic’? An organic product is one that has been made with organic ingredients. In other words, ingredients that have been grown naturally, without using any chemicals to assist them. There are no awful pesticides involved, and that means the products are better for our bodies as well as our planet. So, when you go shopping, make sure to look for the Soil Association logo on anything you buy. 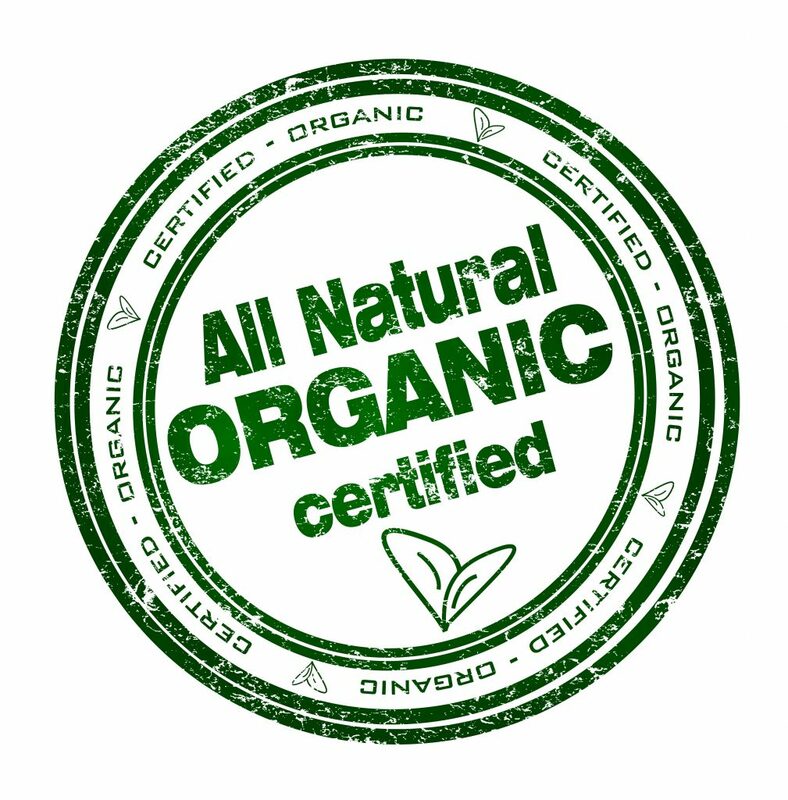 This shows you that it is certified as organic; it’s a mark of trust that means you can use the product worry-free, and it’s the only way you will know for sure that what you are picking up off the shelf is totally organic. Although many products make organic claims, without that all-important logo, you can’t be sure that it’s true. The Soil Association logo is a powerful symbol of trust and transiency – offering buyers assurance in an uncertain world. This is why I created Mumma Love Organics for babies and children, and why I decided to put my children’s skincare range through the proper certification procedures. Here at Mumma Love Organics, we care what stays out of our products as much as we care what goes into making it. So no harsh chemicals will be found in our skincare, just honest, natural, organic ingredients. This is supported by the Soil Association Organic Standard. A healthy, safe skin-care routine for your child should revolve around one word: gentle. But did you know many skincare products made for babies and children contain irritating ingredients? A baby’s skin is 30% more delicate than an adult’s, leaving it sensitive and prone to irritation. Chemicals such as sodium lauryl sulphate (sls), silicones, parabens and mineral oils are all commonly used in baby care products. These chemicals can be skin irritants and even disrupt the immune, reproductive and endocrine system. Your baby’s skin absorbs things easily, so anything that is applied to the skin such as baby wash, baby oil, creams and lotions are absorbed into their bloodstream. It is slightly worrying that such ingredients, which may be in your baby’s bath wash, such as sodium lauryle sulphate, started life as an industrial garage floor cleaner due to its corrosive ability to remove grease. The journal of the American College of Toxicology in their final report on the safety assessment of SLS stated that the chemical has been seen to be a skin irritant in clinical studies all over the world. This is especially bad news for those with sensitive skin or those suffering from eczema and psoriasis, as the chemicals will strip the protective oils from the epidermis, leaving it raw and irritated (1,2). SLS also has strong links with eye development. Researcher Keith Green Ph.D., ID, Sc. Of the medical College of Georgia carried out extensive research on SLS. Dr. Green states: ‘There is an immediate concern relating to the penetration of these chemicals into the eye and other tissues. This is especially important in infants…exposure to SLS results in accumulation in eye tissues, a process that could retard healing as well as potentially have long term effects’. He concludes that exposure to sodium lauryl sulfate can cause improper eye development in children, and that since it is absorbed systemically through the skin, it does not have to enter the eye directly. Younger individuals are more susceptible to the effects of SLS (3,4). Worryingly, this chemical becomes harsher with increasing temperature (5). Most people prefer to wash in warm or hot water, which should be a grave concern for everybody, the baby care industry in particular. Parabens or benzoates are also a concern when buying baby cosmetics. They are widely used in food and cosmetics to extend shelf life of the product. It has been claimed that these preservatives stimulate the creation of oestrogen, which disrupts the hormonal system. 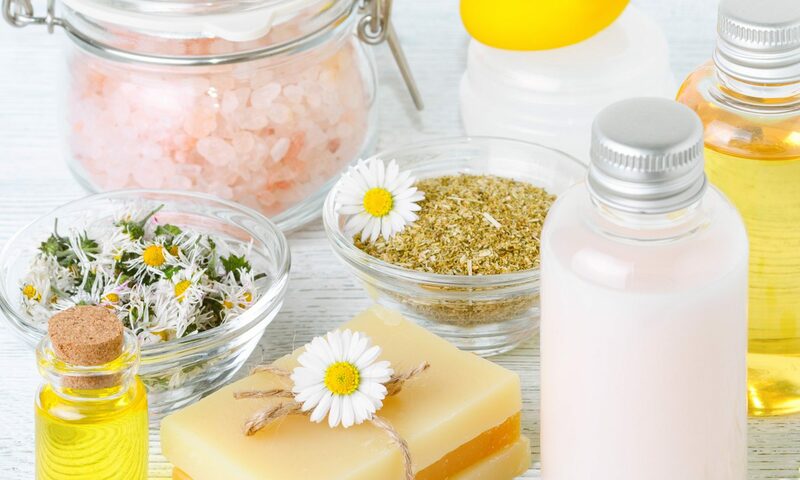 They have also been known to cause allergic reactions and skin rashes; evidence published in the Journal of Applied Toxicology indicates that parabens can also be detected in human breast tumors. We here at Mumma Love Organics believe there is a question mark held over the safety of parabens and SLS in baby cosmetics. In parts of Europe parabens have already been banned in cosmetic products, for example, Denmark was the first country in the EU to ban products containing parabens for children under the age of 3 years. At Mumma Love Organics we care what stays out of our products as much as we care what goes into making it. So no harsh ingredients will be found, just natural organic ingredients with natural preservative properties. This is supported by the Soil Association Organic Standard. ANDERSON C, SUNDBERG K, GROTH O. Animal model for assessment of skin irritancy. Contact Dermatitis 1986 Sept: 15 (3): 143-51. 2. GIBSON WT, TEALL MR. Interactions of C12 surfactants with the skin: Changes in enzymes and visible and histological features of rat skin treated with sodium lauryl sulphate. Food Chem Toxicol 1983 Oct: 21 (5): 587-94. 3. HERLOFSON BB, BARKVOLL P. Oral mucosal desquamation of pre- and post-menopausal women. A comparison of response to sodium lauryl sulphate in toothpastes. J Clin Periodontol 1996 Jun: 23 (6): 567-71. 4. SCHWINDT DA, WILHELM KP, MILLER DL, MAILBACH HI. Cumulative irritation in older and younger skin: A comparison. Acta Derm Venereol 1998: 78 (4): 279-83. 5. GOFFIN V, LETAWE C, PIERARD GE. Temperature-dependant effect of skin-cleaning products on human stratum corneum. J Toxicol 1996: 15 (2): 125-30.